This post was originally published on my personal blog: www.sobersomething.com, but I wanted to share it with The SHARP Followers. Enjoy the post and feel free to contact me if you have any questions or comments. Sometimes life is extremely challenging and there are times when it’s particularly difficult not to curl up in a ball under my duvet and hide from the world…but then I would not be living the learning that I encourage my clients to practice in their lives. Because recently i have had a really tough run of events that didn’t result in me having a drink, but did find myself slipping back into those nasty thought patterns that ruled my life while I was drinking! 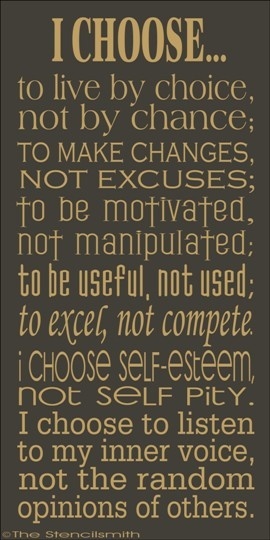 The woe-poor-victim-me way of thinking that never amounts to anything good. I have found myself throwing a self-pity party or two that were among my finest… The beauty of this situation though was my awareness of my behaviour and the consciousness of what was going on. So rather than staying entrenched in these thoughts, words and deeds of all-consuming abjection, I utilise the tools that I have at my disposal to check myself and my unhealthy thoughts. Instead of getting sucked into the misery vortex, I has to start thinking about my thinking and I dig into my bag of spiritual principles, and decide how to proceed. I am not for one minute saying that this is an effortless transition, but by applying what I know to be effective, I am able to direct my thinking in a healthier, more empowered way and start to make plans for how I am going to move forward. Being told by a radiologist that they have found a lump, while my wonderful partner is at home nursing a broken hand, driving a borrowed car while mine was having the clutch replaced and not having the funds to pay for the biopsy, all made me feel like the universe was conspiring against me…and I slipped right into “my addict” way of mentally processing the situation. It hasn’t been a great year with my boyfriend’s mother and best friend dying, my best friend losing her baby just before he was due to enter the world, coupled with endless financial stresses and all those annoying little things that seem to be constantly happening. So when I realised that although I wasn’t using like an addict I was thinking like an addict , I decided to get really serious with myself. And that doesn’t mean derating myself, telling myself to pull myself together. This is when I really need to practice the principles of self-love, patience and acceptance. I have been through a lot this year, and I need to be gentle with myself at times. So instead of chastising myself for slipping, I have given myself the space to process what it’s all about. I have spent a couple of weeks dancing in and out of fear and anger, even sadness, but I have been aware of my feelings and understood that even though they might not feel good, they are necessary in order to move forward. Just because I work with chaos, crisis and conflict on a daily basis in the substance abuse treatment and recovery world, doesn’t mean that I am a guru when it comes to dealing with my own upsets. What I do know now is even when there is huge uncertainty, I need to practice (not just talk about) gratitude, humility, patience, acceptance and compassion. That I need to be conscious of my thinking, and if necessary express my fear, sadness and anger in a mature and adult way so that they best serve me and those around me. I have turned not to run from my emotions, but to work through them with the principles I am developing and strengthening in my life. It’s one thing to know I need to be honest about how I am feeling, but another thing to practice this essential principle (whether or not one is in recovery)… I can talk about being patient, but how can I truly implement this and other truths into daily life. But I am learning through practiced awareness, consciousness and mindsight to be in control of the things I can control, and in the situations I have no control over, I do have the choice as to how I show up in these instances. I have a choice of how I practice and apply my learnings, and I have a choice as to how I respond to the situations that come my way. I may not always appreciate what is happening in my life, and it might be scary and overwhelming at times, but I do have a choice at how I look at these events and whether I approach them as an empowered woman’s thinking or that of my addict… And although there are many things I have no choice or control over, these are a few of the things that I do!! Black Widow | Part 5 – Numb| By Taryn Now that I’ve stopped…how do I stay stopped! ?